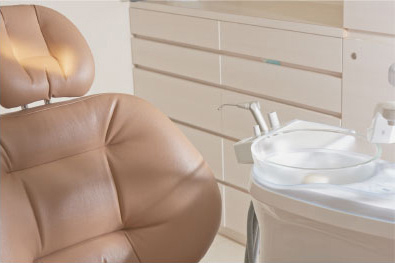 We always strive to make our treatment process as comfortable, and as painless as possible. 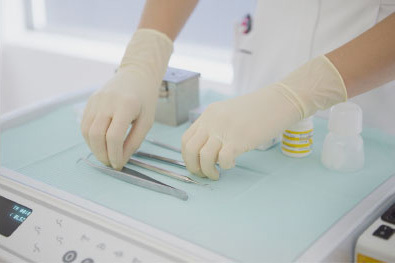 No treatments will proceed without first thoroughly explaining and deciding the approximate treatment duration period, number of times and the overall cost of the treatment plan in advance. Treatment duration and costs are usually the most common reasons behind the patient’s uneasy feeling. After receiving a comprehensive and total explanation you can decide whether to proceed with treatment or not. Dental caries is a disease where bacteria use sugar to create acid that melts the outer shell and inner structure of teeth. Our treatment uses anaesthetic paint to perform procedures without pain during and after the process finishes. Of course, the earlier the stage of the condition, the easier it will be to treat. Treatment to help prevent the recurrence of dental caries will also be carried out during the procedure. The part of the tooth which has been melted will be reinforced with white filling material, ceramic metal and so on. Periodontal disease is a condition that affects your daily lifestyle. It is said that over 80% of adults are afflicted by this disease. Implants can cause periodontal disease without proper care. Bacteria within the dental plaque enters the periodontal pocket between the teeth and gums before proceeding to melt the bone structures that support the teeth (alveolar bone), something that does not heal well. Periodontal disease is a scary disease that progresses with almost no significantly obvious symptoms and in most cases where it is discovered, it has already progressed to a latter, severe stage where the alveolar bone has deteriorated and weakened. In the worst case scenario, eating becomes difficult and painful and your teeth may fall out. 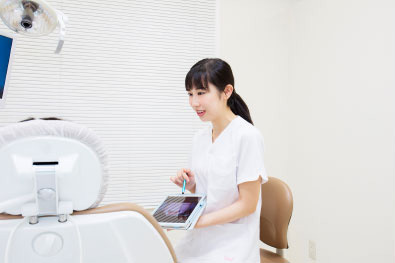 We recommend all dental clinics to regularly perform periodontal disease preventions. 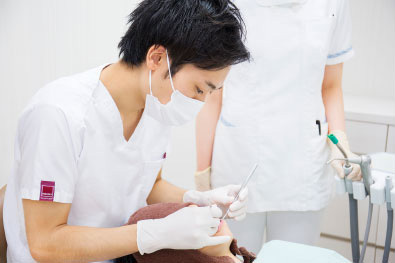 How can we prevent these two major dental diseases known as caries and periodontal disease? Both of the two are caused by excessively accumulate bacteria in the mouth. Cavities and periodontitis bacteria cluster to form nests of slimy, sticky bacteria called biofilms which attaches itself to the teeth. Once developed to a certain point, even the best dentists may not be able to remove this by themselves. In other words, it is necessary for experts to remove the biofilm with efficiency and speed. 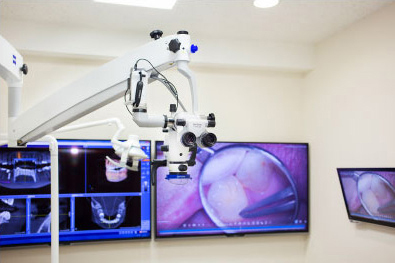 The function and purpose of preventative dentistry is to efficiently and reliably supress and halt the development of biofilm clusters and the colonization of other harmful bacteria surrounding the mouth. Regular cleaning and maintenance treatments are also highly recommended to help this. Removal of biofilm using special equipment and medicine, etcetera. People that consider their beauty an important factor for the quality of their life usually prioritize the aesthetic appeal of their teeth as well. A poorly balanced mouth and jaw structure can be effectively adjusted by dental treatment. 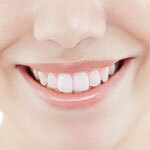 Aesthetic balancing of teeth and jaw structure is commonly known as aesthetic dentistry. A beautiful and charming mouth gives off a “beautiful, clean and bright” impression. So what does aesthetic or cosmetic dentistry consist of and mean in concrete and substantial terms. 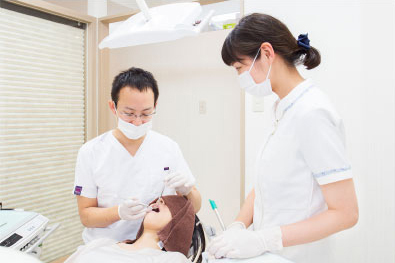 To whiten and clean the teeth with our efficient and thorough cleaning procedures. 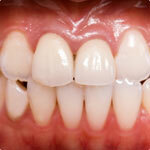 To improve tooth length, width and colour with ceramic teeth. 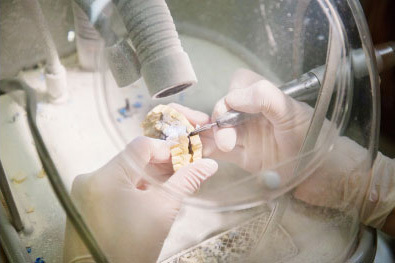 In Haplus we have completed of eight thousand ceramic teeth treatments so far (approximately three times that of the average dentist), delivery customized procedures specifically tailored to the unique needs of each individual patient.